iMAndroid is reporting that OpenMoko will be releasing and Android based OpenMoko Neo FreeRunner. iMAnrdoid writes, "We’ve already seen many leaks on OpenMoko and the tipper reveals that OpenMoko mobile powered by Android will be on sale before the end of the year." The site posted a follow up with some new screenshots featuring the Neo FreeRunner supposedly running Android. 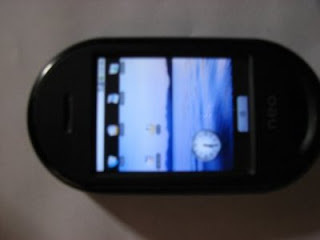 The images are a bit fuzzy, however the OS seen clearly looks to be Android based.